I have always thought the beauty of block printing lies in its tedious process - the detailed designing of the patterns, carving of the blocks, layering of colors and of course the history of its artisans! Even though block printing is a widely known art of printing on fabrics and textiles not many are aware of its extensive use on wallpapers and leather products. In-fact block printing was the standard method of producing wallpaper until the early 20th century and is still used by a few traditionalist firms. I happened to stumble upon an enlightening video on the Victoria and Albert Museum website that inspired me to write this post and share my two bits. The V&A video shows the woodblock printing process William Morris went through to create some of his timeless wallpaper designs; for this pattern he used 30 different blocks, 15 colors and took about 4 weeks to complete the entire printing process!!! Phew! What-a-task that must be….. and this is just one of around 50 wallpaper designs by William Morris! Today, in the desire for art revival many designers and artists are revamping the use of block printing to suit different needs and incorporate the rich history it carries. Some make doors or center tables by cladding the wooden blocks onto different surfaces while others just use old blocks as artifacts in houses. We have been greatly inspired by the following two places who have applied the art of block print in its most usable form – DIY style! 1. 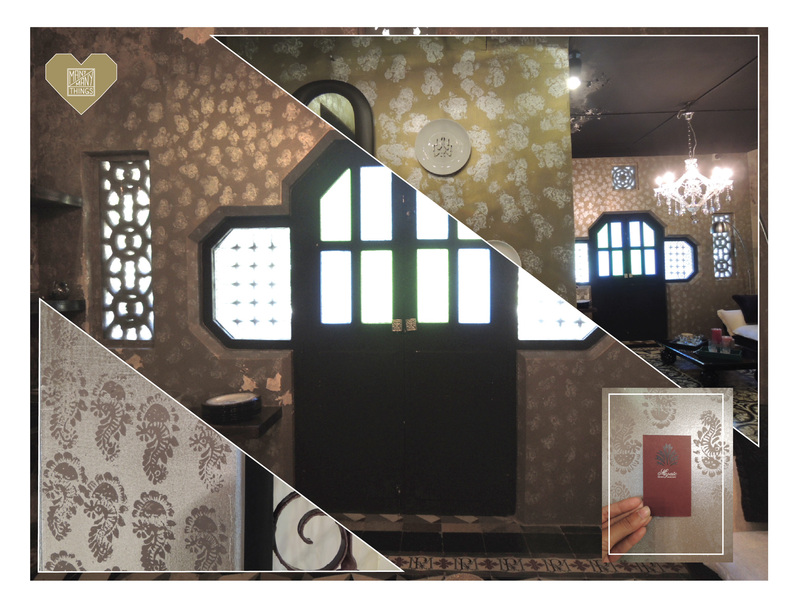 The Lifestyle store Mozaic by Shilpa Gupta in Bandra, is located in a beautiful old bungalow at Turner road, and is known to be a one stop destination for interior solutions offered through ornate settings in each room. What is interesting is that they have treated the interior walls of their store using a wooden block as a stamp to create a simple, elegant print pattern. How clever I must say…MMT Loves!!! 2. In one of our earlier posts we had mentioned the efforts in recycled designing taken on by Studio ABCD through their campaign ‘The Second Life‘. 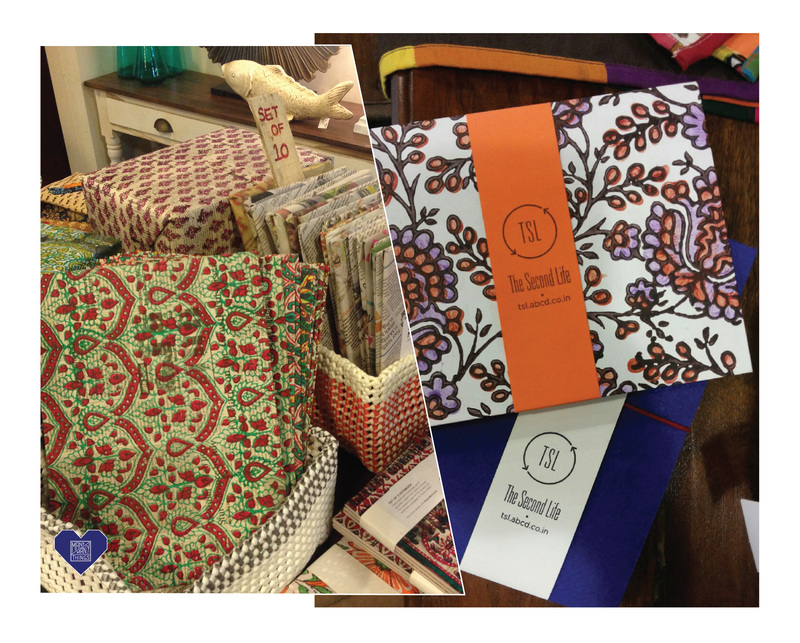 where they have used block print on newspaper and film poster backs, creating a range of stationery that includes wrapping papers, envelopes and notebooks. Stationery using scrap paper and old blocks – MMT Loves!! !